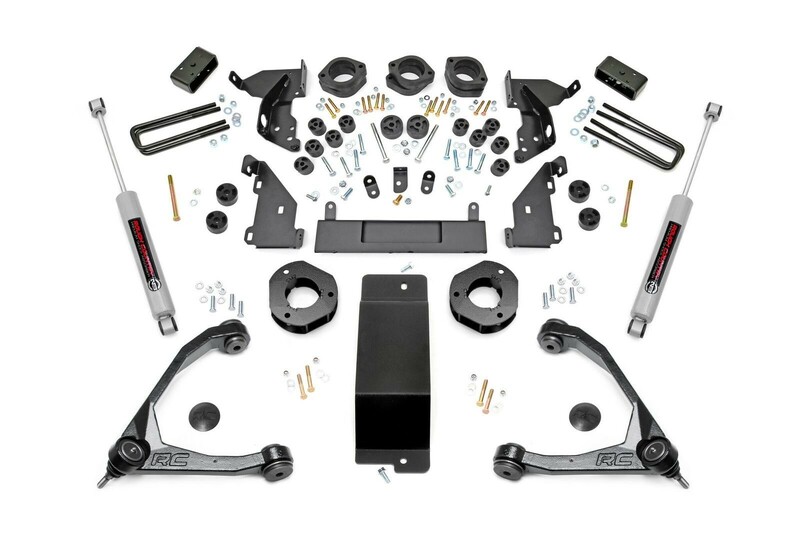 This kit requires you to select whether your vehicle has aluminum, stamped, or steel factory upper control arms. To ensure proper fitment, please check your factory components and select the appropriate option before adding this product to your cart. 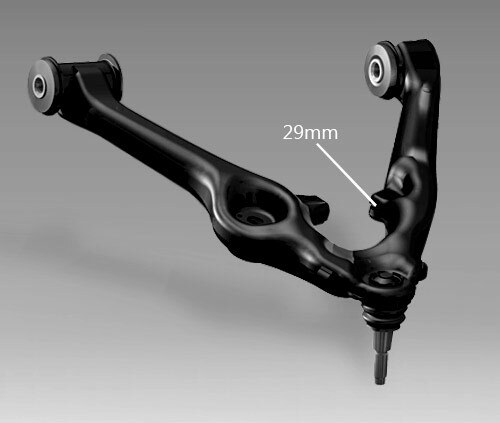 Steel control arms are offered on 2007-up models and have a BLACK finish. A magnet will stick to steel arms. 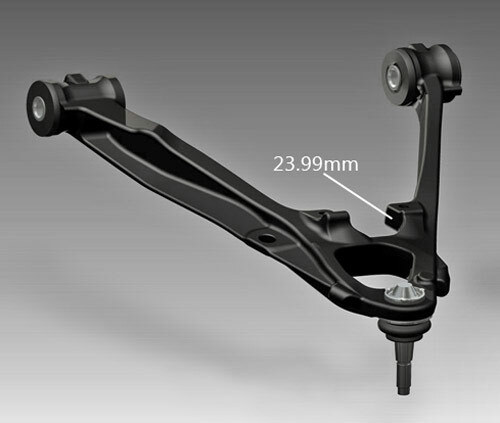 Aluminum control arms are offered on 2014-up models and have a GRAY finish. A magnet will NOT stick to aluminum arms. 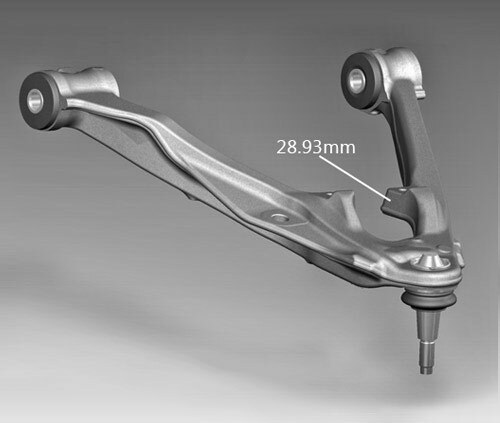 Stamped Control Arms are offered on 2016-up models and feature welded seams, a rounded steel construction, and a concave sway bar pocket. They have a BLACK finish and a magnet will also stick to stamped arms. This kit does NOT fit stamped steel control arm models! This 4.75-inch combo kit features our Nitrogen charged N3 Shocks offer the best in balanced performance for on and off-road use, featuring a 10-stage velocity sensitive valving custom tuned for this specific application. That means these shocks are specifically valved for use with this specific vehicle and lift combo, giving you unparalleled performance for any driving situation. This innovative kit combines our new 1.25-inch Body Lift with our popular 3.5-inch Suspension Lift for a big lift height without breaking the bank. Includes N3 Shocks and MOOG Ball-Joints. This kit also features upgraded Ball Joints by MOOG, the most trusted name in Ball Joint design. Easy to install and easier to maintain than any other joint on the market, the Moog Ball Joint system utilizes two powdered-metal "gusher" bearings with grease grooves to provide the most durable wear surface available. A sealed boot design with grease-relief valve keeps contaminants out while providing a sealed, serviceable environment. Differential drops maintain proper axle angle. Ball joints are pre-installed to ease installation. Fabricated lift blocks are stronger and offer a longer lifespan than cast blocks. Features application valved N3 series shock absorbers which offer the best in balanced performance for on and off-road use. Body lift provides 1.25-inch of lift opposed to the standard 1-inch"
Must know if Stock Upper Control Arms are Cast Aluminum or Cast Steel. New lift block replaces the factory equipped block.